Dr. Keith Joseph Zukas is an Assistant Professor in the Department of Communication at University of Wisconsin-Whitewater, in southeastern Wisconsin of the USA. Go Warhawks! He teaches journalism and communication courses such as Writing for News Media, Feature Writing, Sports Journalism and Cross-Cultural Communication. Zukas is also the adviser of the Royal Purple student newspaper. In that role he guides students in the creation of editorial content and design of the paper in print and online. Additionally, he guides advertising and campus/community outreach. He conducts numerous journalism and media research projects, contributing to knowledge in both qualitative and quantitative studies. With a focus in framing, he is particularly interested in textual and content analysis. Experimental studies have utilized professional camera crews, cutting edge design programs and internet survey samples to create high-quality realistic treatments. Zukas is a 2013 graduate of the University of Wisconsin – Madison where he received his PhD from the School of Journalism & Mass Communication. 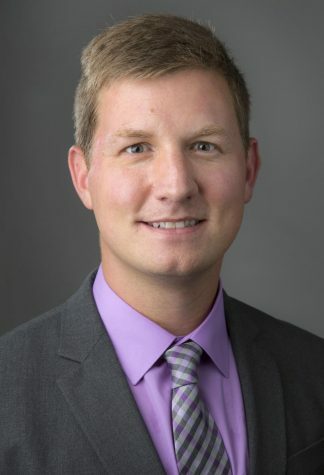 His dissertation on media framing analyzed how wind energy political, industry, and activist communications were covered by Wisconsin newspapers. Finally, Zukas has a passion for communication in the fields of journalism, strategic communication and speech. His experience as a city/county journalist, campus reporter, strategic communications manager, event planner, and advertising assistant provided first-hand knowledge of how informative and strategic communications interact to create a dynamic mass communication society. If you are interested in learning more about Zukas’s teaching, research and service please contact him through the University of Wisconsin-Whitewater, LinkedIn or Twitter.